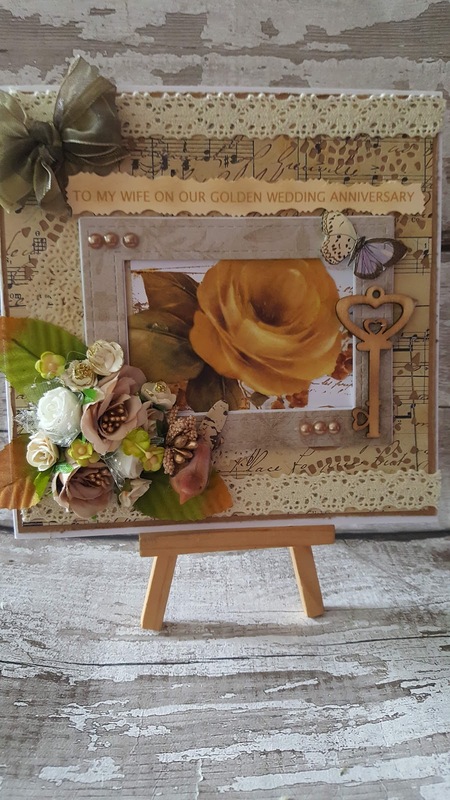 Hi everyone I was asked by my Dad to make him a card to give to my Mum for their 50th wedding Anniversary, I decided that Mum would like a vintage card as she always comments on my vintage projects.. I had a look through my stash and pulled out bits that I thought would look nice on the card. I chose the rose image from a paper pack and fussy cut around the image, I used both branded and unbranded products on my card. I really hope Mum will like it. Below is a link to my You Tube channel where you can watch my tutorial. I will also leave details of the products I used.